This entry was posted in inspirational and tagged apples, art, christmas, compassion, Dog, gift, girl, giving, holiday, homeless, painting, woman. interested in painting and quilts do you sell on line or have a web site? I am currently trying to post on a new store on Etsy that will have cards and prints I will be selling. The name for that store will be CherylMcNultyArt. 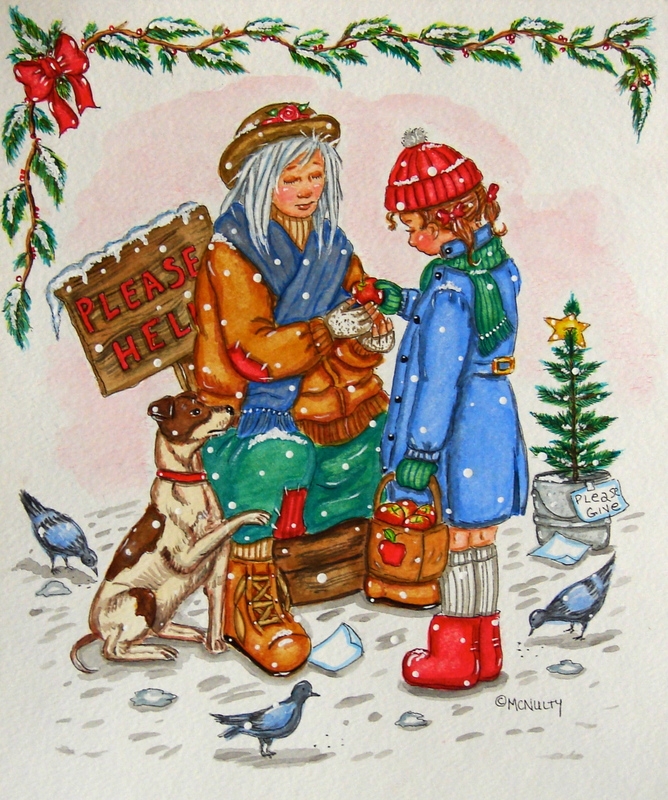 But I do presently have a portfolio online at cherylmcnulty.com and I can make prints or cards from any design you see there. If you are interested in anything just email me at mcprop@cox.net and I can give you an estimate on what you would like.